"I am a commercial fleet customer for Bridge Street Auto Repair.Top to bottom, front and back, I have found that Bridge Street Auto has been able to address all my pre-season inspections to my complete satisfaction. In addition any repairs needed are done quickly during fire season." "My sincere thanks to you and your Staff for your honesty, courtesy & professionalism; and your consideration for my daughter's Day Care time-constraints. You folks are wonderful!" "I can NEVER, EVER, thank you enough for everything you did for my son Christopher. You made a horrible experience for him bearable." "I believe Mike Dunbar has a competent and courteous staff, and if you need mechanical help when passing through Grants Pass you will agree. Their philosophy is: "Never treat people any differently than the way that you would want to be treated." Sincerely from Bakersfield, CA~Pat P.
"Just a short note to say "Thank You" for the outstanding repairs and customer service on our RV earlier this month. I appreciated very much your keeping me advised on how things were going.... The RV tracks great now. This was my first visit to you and having been ripped off in the past, I was a bit apprehensive.... but you came thru with flying colors.They treated me more than fair. On the basis of one visit, I recommend them highly." "..extremely well informed on the repairs that were needed on our Motor Home and was very helpful to us. ..We are very pleased with Bridge Street Auto Repair and certainly recommend it as the best place to get your automotive needs taken care of. Thank you-all again." "..I was terrified when the brakes wouldn't work and was ready to turn around and come home. Thanks to Bridge Street Auto and Jim, we continued on our 18 day trip to Canada and all went well. We had a very enjoyable trip! 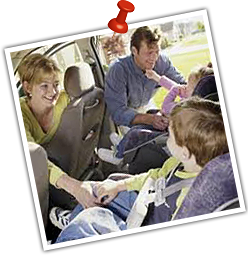 I heartily recommend Bridge Street Auto Repair for anyone needing fast and efficient auto and RV repair." "The time and effort your staff then took to research and communicate with [the coach manufacture] convinced them to do the necessary repairs to straighten our coach. It leaned outside their own factory tolerance level, but they had previously denied any responsibility. We now have a November appointment to have the coach realigned at their expense - thanks to you." We cannot tell you enough how much we appreciate the personable and competent help we received at your facility. We plan to continue [traveling] for several years. You and your crew have helped make our experience more comfortable and enjoyable. We love BSA: their kindness and professional attitude have kept us coming back for nigh onto 10 years. The facility is clean, well organized and always improving which make me proud to recommend them to anybody, anywhere! Being next door neighbors to a resource like this is extremely convenient and handy for us. Bridge Street Auto has most recently allowed us to keep our crews on the road and on the job. Many thanks for responding so expeditiously to our crisis'. Much appreciated. 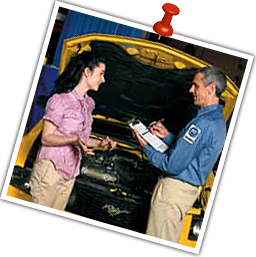 It is refreshing to deal with an honest professional mechanic shop that will not surprise you with additional costs. All my work has been up front and pre-authorized from me. It develops a lot of trust and peace of mind. I highly recommend them. Very good to us and finding our problem with our Motor Home and letting us stay in it in your yard. We thank you very much. The motorhome developed what we considered a (factory) warranty problem and Heidi went to bat and got it covered for us, saving us nearly $400. Thanks Bridge Street Auto and RV and Crew!